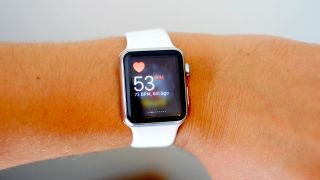 A teen in Massachusetts says he used his Apple Watch's heart rate sensor to monitor his heart and it ended up saving his life. Speaking to CBS San Francisco, Paul Houle explained how after football practice, he began suffering from chest and back pain. Using his Apple Watch, Houle said: "I tested my heart rate, and it was about 145 for about two hours after practice." Worried, he went to the hospital where he ended up being diagnosed with a condition called rhabdomyolysis, which can be triggered by intense exercise. The condition causes the cells in muscles to leak enzymes and protein into the blood, which can end up leading to heart, kidney and lung failure. The story doesn't end here for Houle as somehow the news of the teen reached Apple CEO Tim Cook, who made a phone call. "I got a phone call from a California number, and he said, 'Hello, my name is Tim Cook, CEO of Apple,'" Houle said. Cook ended up offering Houle an iPhone as well as a summer internship at Apple.